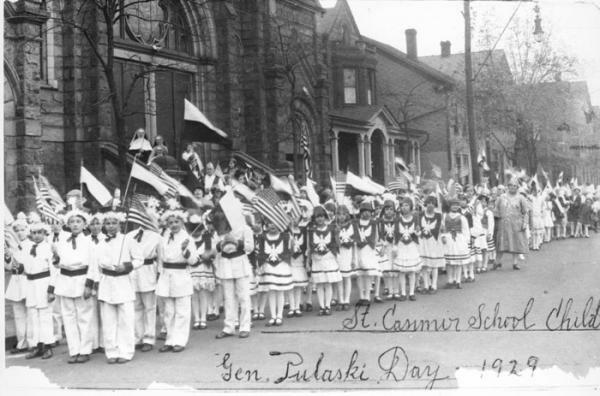 Children from the Saint Casimir School dressed in Polish costume for the General Pulaski Day parade, Johnstown, PA, 1929. Immigrant churches across Pennsylvania fulfilled a broad range of religious, social, and cultural functions for their immigrant congregations. Polish residents of Cambria City organized the St. Casimir's parish in 1901. In the early 1900s children in the parish school participated in the annual General Pulaski Day parade.